Alex Mincek has a percussion-heavy piece of complexity called ‘Color Form Line’ where piano and mallet-driven instruments set up a fairly dense thicket of musical thorns which have to be negotiated by the soprano vocals of Kate Soper, which she spits out in alarming stabs. Deliciously atonal from the get-go, the fun picks up even more when we get the added free jazz honkamaroons from Mincek himself and his blurtish sax, his phrases echoed by Erin Lesser’s restless flute blasts. This skittery beast advances like a spidery machine with its ingenious jerky movements. Seems the composer is basing it on his reaction to the work of colour field painter Ellsworth Kelly, one of the more challenging of the abstract expressionists; according to Mincek we shouldn’t “separate the experience of color from that of shape / gesture”. Right on! Fans of the more “difficult” Zappa compositions should check this out, and to my mind Mincek is far more successful than Frank at incorporating truly spontaneous jazz-bursts into the equation. Rick Burkhardt is not an Ensemble member as such, but this accordion-squeezing writer comes to the project from his background in experimental theatre. With ‘Alban’ the plan is to create an “inverted song”. In fact his whole concept of song structure is quite unusual, proposing that a song is a “stream of language”, and that the music “sends ripples through it”. Kate Soper is given an odd text to perform in her recit-style, and the libretto seems, Robert Ashley-style, to have been derived from a phone conversation about a real estate sale, or some other found text. Around the fractured syllables and strange accents, the musicians weave groaning string sounds and unpredictable percussion episodes. Listening to this ultra-tense piece is like making your way through a mile of taut barbed wire fences, with only a nail file to cut through the barriers. The pianist Eric Wubbels delivers an ambitious suite called ‘Katachi’, divided into six Etudes with an Epigraph. Ambitious, since he demands nothing less than a subversion of reality. His musical ideas are clearly based on a close understanding of what the instruments in the ensemble can actually play, and he refers briefly to a glissando on the auto-tuned violin or an “ornamented melody played in unison”, effortlessly demonstrating his algebra-like comprehension of musical forms. It seems the players are also required to put themselves in a specific body-posture to play their parts; Wubbels calls them “focused contexts”, but he’s aiming at very definite results from these physical exercises 1. All of this is in aid of exploring his ideas about reality. Music is a free space where we can play with reality, is the abiding notion. Does he succeed? 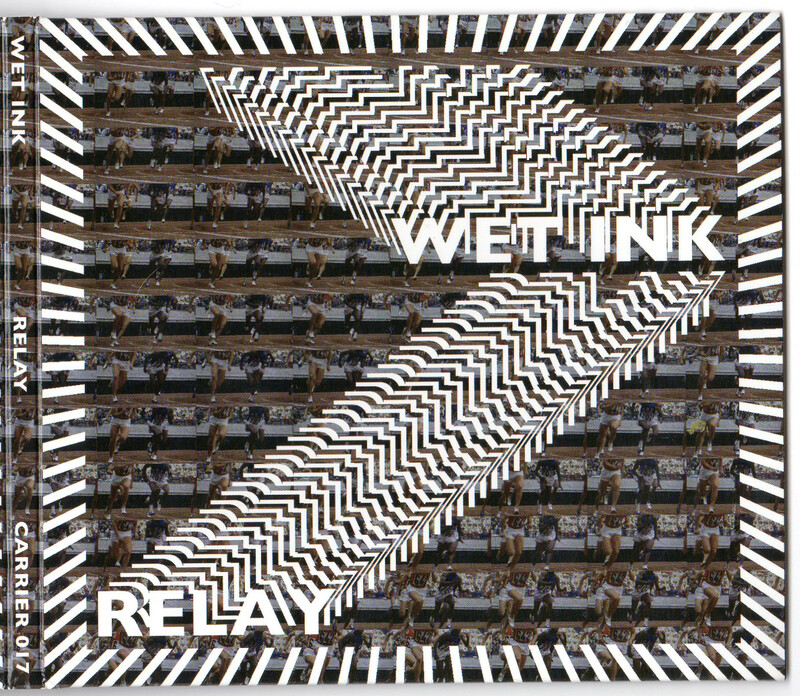 All I know is that in 20 minutes the Wet Ink Ensemble play some impossible music, where incredible dynamics, timbres and shifts are executed with apparent ease. This isn’t about showing off (look how many notes I can play), but it is about building a framework to allow us a glimpse of the “deeper realities” of which Wubbels speaks. Staggering. It’s also absolutely fascinating to listen to. Kate Soper’s chance to shine next, on three texts presented under the collective title ‘Only the Words Themselves Mean What They Say’. Using texts penned by Lydia Davis, Soper builds on the Lindsay Anderson model of delving into a written text using a peculiar type of sophisticated song-speech, a method which even allows the inflection of a slightly sarcastic sneer in the tone when needed. And like Anderson, she favours texts which are minimalist riddles (‘Getting To Know Your Body’ comprises just two lines) or comprise penetrating observations about the convoluted mind-games that take place in any given relationship (‘Go Away’, a lengthy bombast which deliberately ties itself in linguistic knots). These modernist vocal performances by Soper are underscored with very low-key instrumental settings, the breathy flute gasping in sympathy with the exasperated narrator on ‘Go Away’ or droning harmoniously on the highly emotional ‘Head, ‘Heart’. Soper proves herself a worthy successor to Cathy Beberian, but she has a lot of pure “soul” too; you’d love to hear her tackle a set of Diana Ross cover versions. Sam Pluta’s ‘American Tokyo Daydream V’ is, in the context of this record at least, the “crowd pleaser” of the programme. It’s another of his highly energised half-composed, half-improvised pieces, one which showcases his own electronic improvisations as well as those of saxman Mincek, who blurts up a squealy storm across 13 minutes. I love the piano hammering out its insistent, basic riff, in time with the heavy percussion; Pluta himself suggests that the piano playing is quite primitive, but it’s deliberately so. Matter of fact the leaden pace of the rhythm section contrasts superbly with the top-line instruments, all of which are going nuts. “Everything about this work and recording is over-the-top,” gloats Pluta with some glee 2. It’s intended as a meditation on absurdity, freedom, and creativity. Where Eric Wubbels tries to outwit reality with his elaborate chess-game stylings, Pluta decides he will take it on with a sweaty bout of arm-wrestling. An explosive piece, meat and drink for fans of Otomo Yoshihide or John Zorn. Exhausted yet? There’s still eleven minutes of ‘Anthem’ to listen to, a bespoke composition provided by George Lewis. He was commissioned in 2009 to produce something specifically for the Ensemble, a piece that would involve voice elements and could be performed by a limited number of instruments. Naturally enough, Lewis turned to the writings of a Catholic nun about the language of Shakespeare for inspiration. The breath-taking results are an incredible blend of classical form with purely American vernacular expressions, somehow taking in Broadway musicals as well as free jazz, all delivered in a structure of near-mathematical complexity and performed at 200 miles per hour. Another death-defying feat by The Ensemble. The press notes describe Wet Ink Ensemble as “pushing the boundaries of new music in New York City”, and for once the hyperbole is something we can all agree with.